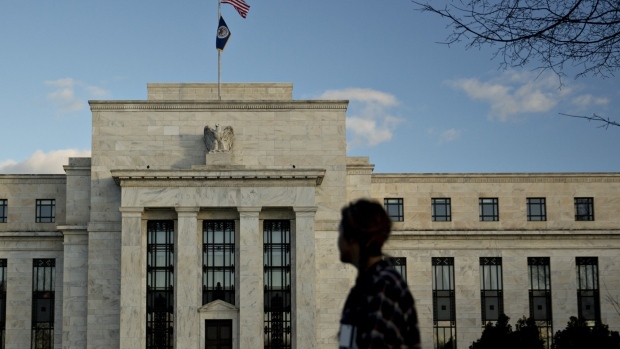 Optimism over prospects for growth at U.S. firms has begun to fade even as a majority of Federal Reserve districts continued to report modest to moderate economic expansion in recent weeks. The central bank’s Beige Book economic report, based on anecdotal information collected by the 12 regional Fed banks through Nov. 26, pointed to modest to moderate growth in most regions. Two districts, Dallas and Philadelphia, said growth had slowed, while St. Louis and Kansas City reported “slight" increases. The survey fits well with forecasts from most economists for slower gains in 2019 both in the U.S. and globally. Fed Chairman Jerome Powell hinted Nov. 28 that the central bank might slow the pace of rate hikes next year from the three projected by Fed officials in September. Those forecasts will be updated when officials meet later this month. Investors have also displayed their falling confidence. Since the end of September, the S&P Index of U.S. stocks has dropped 7 per cent, and in recent days the yield on 10-year U.S. Treasuries fell below 3 per cent for the first time since September after rising as high as 3.24 per cent. The Beige Book continued to highlight anecdotes about a tightening labor market. Prepared by the Philadelphia Fed, policy makers will review the report as they prepare for their Dec. 18-19 meeting, when they are expected to raise interest rates by a quarter per centage point for the fourth time this year. Overall prices rose modestly in most districts. House prices continued to increase in a majority of markets, the report said. Tariffs featured prominently in the Beige Book, gathering about 40 mentions. Tariffs were blamed for higher input costs and higher prices across a broad range of industries. “Reports of tariff-induced cost increases have spread more broadly from manufacturers and contractors to retailers and restaurants,” the report said.